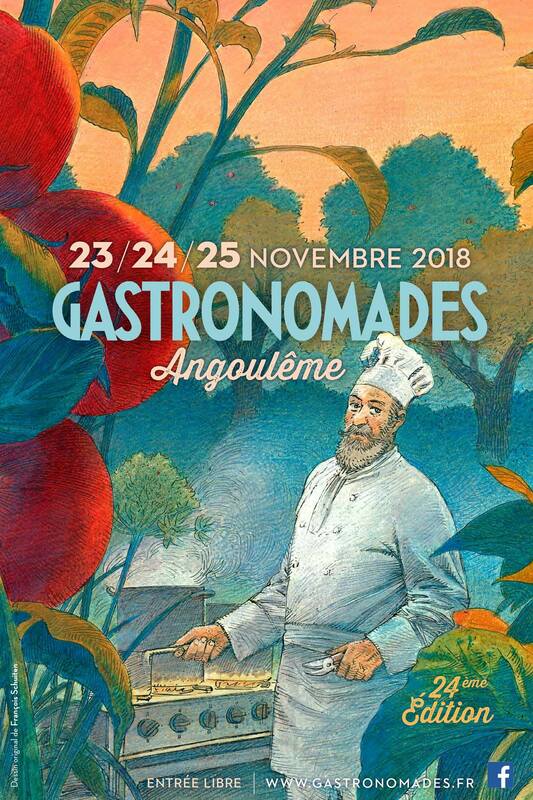 Gastronomades is the unmissable event of good taste and good food in Angoulême. It's an entire weekend dedicated to the beautiful products of Charente and Nouvelle Aquitaine. It's the feast of today's kitchen and all those who contribute to it 1). For its 2018 edition François Schuiten was asked to make the announcement poster. François Schuiten is the third Grand Prix winner of Bd Angoulême to take part in this festival, after Florence Cestac in 2016 and François Boucq in 2017 2).